Have you ever wanted to go on a diet so you start researching on which one that is reasonably simple to follow and sustainable in the long run? Then you try it and after some time, you realise that your social life is suffering – okay, maybe I exaggerate. It’s like, when your peers ask you out for drinks and you say, “Okay, but I’m only drinking juice tonight,” then everyone at the table just looks at you like you’re the parent who volunteered to chaperone your child’s school outing. Not that I’m on a diet now, but when I have gone on one, I felt bad when my friends have to make plans around my diet. On Monday, 27 November, the National University of Singapore (NUS) announced a new type of wine made from tofu that is not only healthy, but also delicious. I asked my colleagues how would they describe the taste of tofu, and right away I get answers like, “tasteless”, “tastes like soy bean”, and “soft”. 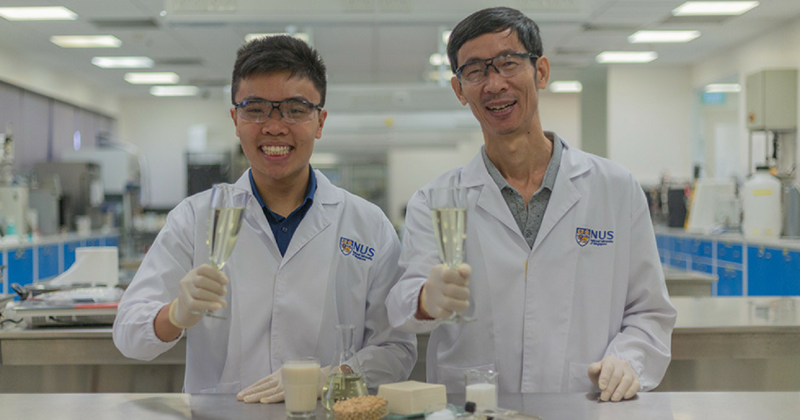 But these researchers from NUS have managed to turn by-products of tofu – specifically tofu whey – into wine. Like how Jesus turned water into wine. The beverage that Associate Professor Liu Shao Quan and his PhD student, Chua Jian Yong, created is named, Sachi. In Japanese, sachi means “blossoming wisdom”, Jian Yong explained. The wine’s “sake-like profile” inspired its name. Sachi is described as having “a pale yellow tint, tastes sweet with fruity floral notes, and more interestingly, has no hint of soy bean flavour”. The lack of that soy bean taste is due to Jian Yong’s special fermentation process that changes the “odour of tofu whey into a fruity, sweet flavour”. Sachi only has about seven to eight per cent alcohol content, as compared to regular wines at 12 per cent. Alcohol content of sake ranges from between 15 to 20 per cent. It has a shelf life of four months. Generally, consuming alcohol is seen as an unhealthy act. But Sachi is different – here’s why. Jian Yong’s fermentation technique uses all of the tofu whey, enriching “the drink with isoflavones, which are naturally occurring antioxidants” that are good for the body. Women stand to benefit from isoflavones, mostly, as it potentially lowers the chances of postmenstrual and breast cancer, and osteoporosis. Associate Professor Liu and Jian Yong, who are from the university’s Faculty of Food Science and Technology Programme, started working on this one year ago. “The traditional way of manufacturing tofu produces a large amount of whey, which contains high levels of calcium and unique soya nutrients such as isoflavones and prebiotics. Hence, disposing tofu whey is wasteful,” said Jian Yong. 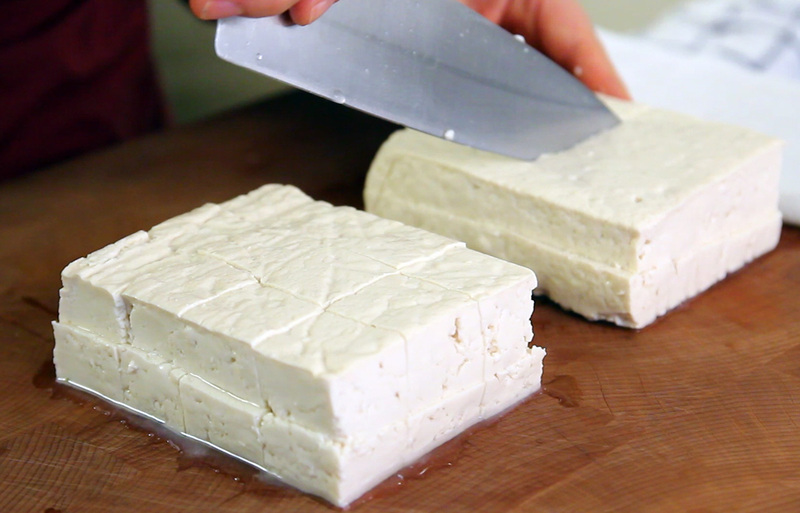 Creating tofu involves “coagulating freshly boiled soy milk”, letting it cool, and shaping into blocks. Its leftover liquid, tofu whey, is usually thrown away, and if untreated, the protein and soluble sugars in it “contribute to oxygen depletion in waterways”. So the two of them sought a solution for it. Sachi is made from the whey produced and fermenting it with a sugar, acid, and yeast mixture come up by Jian Yong, under the guidance of Associate Professor Liu, in three weeks. The creators have filed for patent for the process of creating Sachi and have expressed their plans to work with industry partners to bring it to retail. They have pointed out that by recycling the tofu whey businesses produce, and creating other types of products from it, can “generate economic returns” – a win-win solution. With the creation of Sachi, the market is now more diverse, offering healthier choices that almost everyone can enjoy – from health nuts to vegetarians.